Lunchbox Dad: The Marvel Universe Live Tour is Coming to my Hometown! The Marvel Universe Live Tour is Coming to my Hometown! To say I'm ecstatic is an understatement. I have been waiting for the Marvel Universe Live tour to come to the San Francisco bay area for an entire year. My son is a super hero fanatic and will be so pumped to see the show he won't be able to contain himself. My daughter loves superheroes as well. This is pretty evident from some of the lunches I have made them. "Marvel Universe LIVE! will captivate audiences with an authentic and original story that brings more than 25 Marvel icons together on one awesome quest. The Cosmic Cube, the source of ultimate power and one of the most feared and coveted treasures in the Marvel Universe, has been shattered into pieces by the Mighty Thor in order to prevent it from falling into the wrong hands. With the pieces scattered across the globe, Thor’s villainous brother Loki devises a scheme to clone its powers, inciting a threat that could not only decimate Earth but also obliterate the Universe. Feel the energy and excitement with cutting-edge special effects, pyrotechnics, aerial stunts, martial arts, motorcycles and stunning video projections that completely immerse the audience into the epic action and story. 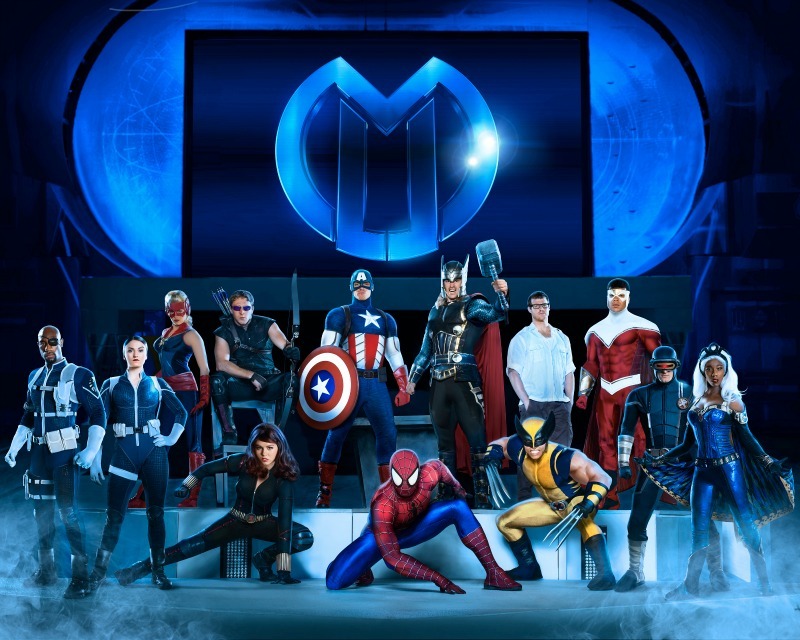 Nearly two years in the making, Marvel Universe LIVE! is being hailed as the most technically advanced and innovative live touring shows ever (in the more than 40 year history of Feld Entertainment). Join Marvel fans of all ages for this once-in-a-lifetime, monumental performance…the fate of the Universe depends on it!" I get the chance review the show and tell you what I think. Check back soon to see how my family enjoyed it and if it is an event that you should invest in for your family. The tour will be in San Jose at the SAP Center from March 20-22 but check the Marvel Universe Live website to see when it is coming to your area. You can buy tickets at Ticketmaster.com, by phone, or at the box office. See the video below for a taste of what you will experience. Disclosure: I have been given tickets by Feld Entertainment to see the show and review it. I have not been compensated in any way and the opinions expressed are my own.